Eftpos network operator Paymark has been sold for $190 million. ASB, ANZ, Westpac and BNZ will sell the Auckland-based electronic transaction processing company if the Commerce Commission and Overseas Investment Office approve. 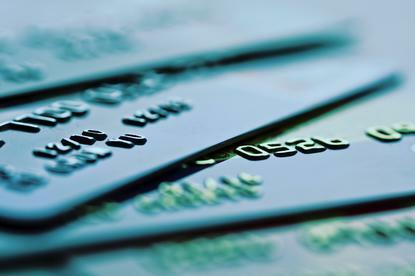 Paymark, which has reportedly been for sale for a couple of years, processes a large proportion of debit and credit card transactions through its switching infrastructure connecting cards at merchant terminals with the bank or institution that issued the card. Paymark is connected to over 80,000 merchants and processes more than a billion transactions a year. Terminal maker Ingenico is listed on the Paris Stock Exchange and has operations in 170 countries. Ingenico said that by combining its terminal assets with Paymark and those of another recent acquisition, Bambora, Ingenico will be well positioned to create value for New Zealand retailers and financial institutions. This willl create a "complete omnichannel offering" including point of sale and terminal management, in-store and online processing capabilities and value-added services such as analytics and loyalty. Swedish payments group Bambora was acquired in July last year for €1.5 billion. Earlier this month, Westpac became the latest of three banks to partner with Paymark to offer online Eftpos, which allows New Zealanders to purchase online directly from their bank account using their mobile phones. Paymark said it continues to engage with other major banks to participate in offering the service. Announcing the Westpac deal, Paymark touted its new Open Payments Platform as the "next-generation digital infrastructure connecting merchants, banks and consumers". For the year to March 31 2017, Paymark posted an after tax profit of almost $21 million, up $1.5 million on 2016. Its four bank owners said they believed Ingenico would be a good owner for Paymark as it is a specialist in the payments business internationally and will be able to bring a high degree of technical skill and innovation to what is becoming an increasingly complex and creative industry.